Concrete and Mud. Since kicking off his career with 2014's Ephemeral, Sam Morrow has seen plenty of both. With his career-defining third record, Morrow should cement his place as a member of Los Angeles' country elite. Concrete and Mud is a confident album, rooted in Texas twang, southern stomp, and old-school funky-tonk. Recorded largely live in the studio on a vintage Neve 8068 console with producer/engineer Eric Corne at the helm, it also shines a light on Morrow's strength as a songwriter, front-man, and bandleader. 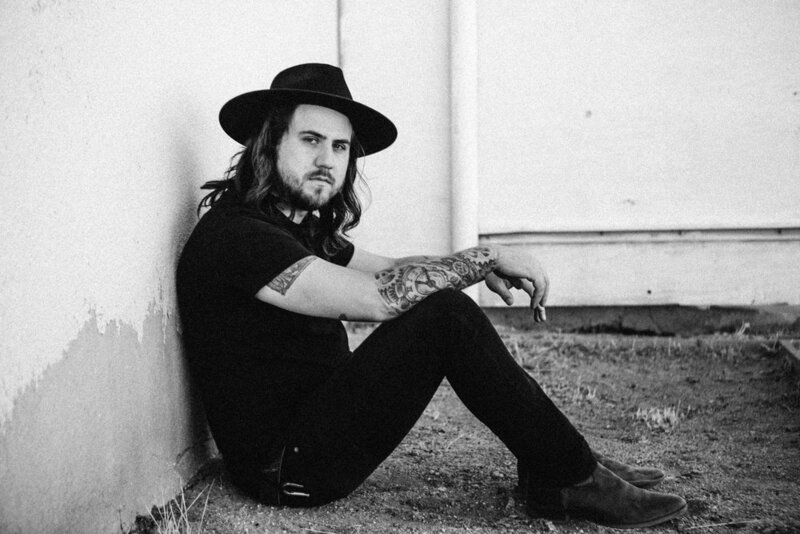 At 27 years old, the Houston, TX native found his footing as an artist and appears poised to join the ranks of West Coast heavyweights like Sam Outlaw, Jade Jackson, and Morrow's friend and label mate, Jaime Wyatt, whose vocals can be heard on three songs here. Musically, this is Sam Morrow at his electrified, energetic peak. The sad-eyed sounds of Ephemeral and its 2015 follow-up, There Is No Map — both written during the early years of Morrow's sobriety — have been replaced by something more representative of Morrow's live show, in which he fronts a band of plugged-in roots-rockers. Accordingly, Concrete and Mud doubles down on a blend of countrified funk and guitar-fueled southern rock, shot through with train beats, Telecaster twang, bluesy slide guitar, swirling organ, with Morrow's big, booming voice front and center. There's balance, too. For every swaggering country rocker like "Heartbreak Man" or "Good Ole Days," there's a gorgeous, emotional punch to the gut like "San Fernando Sunshine" or "The Weight of A Stone." "Paid by the Mile" is full of 70s-worthy stomp and Southern swagger. "Quick Fix" is an infectious hook laden stew of syncopated beats with bubbling clavinet, slinky guitars and doubled vocals. Morrow croons one minute and growls the next with a sly nod to his influences while staking out new territory. From Lynyrd Skynyrd-friendly rockers like "Heartbreak Man" to the Little Feat-worthy grooves of "Cigarettes," Concrete and Mud boldly explores a wide range of styles and sounds. There's also an undercurrent of classic country running throughout the mix. On "Skinny Elvis," Morrow sings with his longtime friend and frequent tour mate Jamie Wyatt, resulting in a throwback duet worthy of Gram Parsons and Emmylou Harris' "Ooh Las Vegas." [Jay Dee Maness, who performed alongside Parsons during the recording sessions for the Byrds' Sweetheart of the Rodeo, plays pedal steel on the track.] 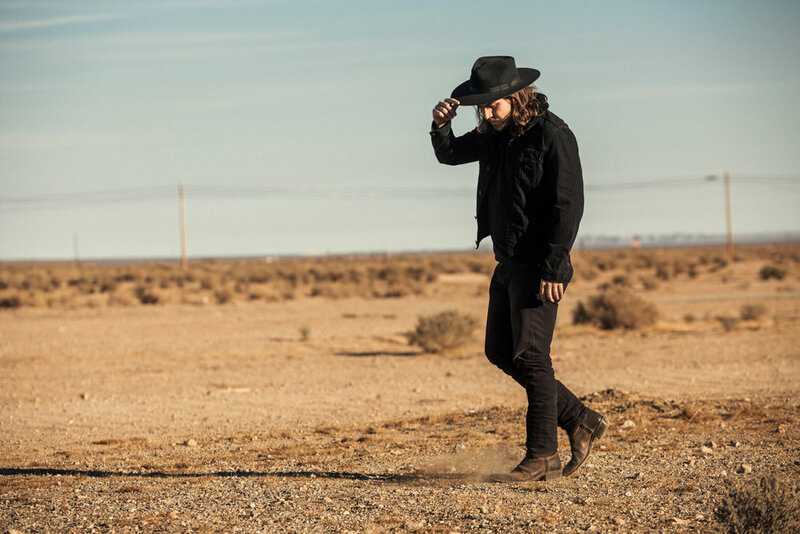 Elsewhere, Morrow evokes Billy Joe Shaver's "Georgia on a Fast Train" with the sly yet cutting "Good Ole Days", proving you can take the man out of Texas, but you can't take the Texas out of the man. Like his previous albums, Concrete and Mud was produced by songwriting partner Eric Corne, with Morrow playing a more active role in the recording process. The two took an experimental approach. Wurlitzers were run through phaser pedals. Farfisa organs were recorded through revolving Leslie speaker cabinets. Songs like "Cigarettes" were reinforced with throbbing mini-moog synth, while murder ballads like "Weight of a Stone" were laced with looping percussion and timpani flourishes. On "Paid by the Mile," Morrow and his band-mates kept the tape running during the song's final moments, stretching their legs during a long, loose jam session before segueing into the ceremonious intro of "San Fernando Sunshine." The result is the most adventurous album of Morrow's career, and his third release for Corne's label, Forty Below Records. Concrete and Mud comes to a close with "Mississippi River," whose mix of acoustic guitars, fiddle, dobro, mandolin and upright bass ends the album on a rootsy note. It's a move that pays tribute to Morrow's past, drawing a line between the moodier, gorgeous songs on his previous albums and the hard-hitting, infectious grooves of his current work. "It's about the fabric of America, and how the Mississippi is a metaphor for what binds very different people together," says Morrow, whose album builds a similar bridge between opposing camps: country and rock & roll; the West Coast and the American South, concrete and mud. "The sentiment is," he adds, "the things that unite us are stronger than the forces that divide us.